On 20th March, the European Foundation of Human Rights (EFHR) team went to the Palace of the Grand Dukes of Lithuania, as part of their monthly activities. This time, the EVS Carmen Cara Lorente, the trainee Gabrielius Emilis Graželis and the workers of the EFHR spent nearly 2 hours at this interesting spot of Vilnius. As part of their visit, they had the chance to see the different tour sections and floors of the Palace. They started with a historical and architectural exhibition of the building, where they learned more about Lithuanian History while walking around the foundations of the old castle. Furthermore, learned about how the Palace evolved through the years as well as the evolution of Lithuania. Secondly, they visited the state rooms and private apartments. The EFHR team had the opportunity to see the ceremonial halls and the Treasury Hall. This was a great chance to learn more about different architectural styles like Gothic, Baroque and Renaissance. 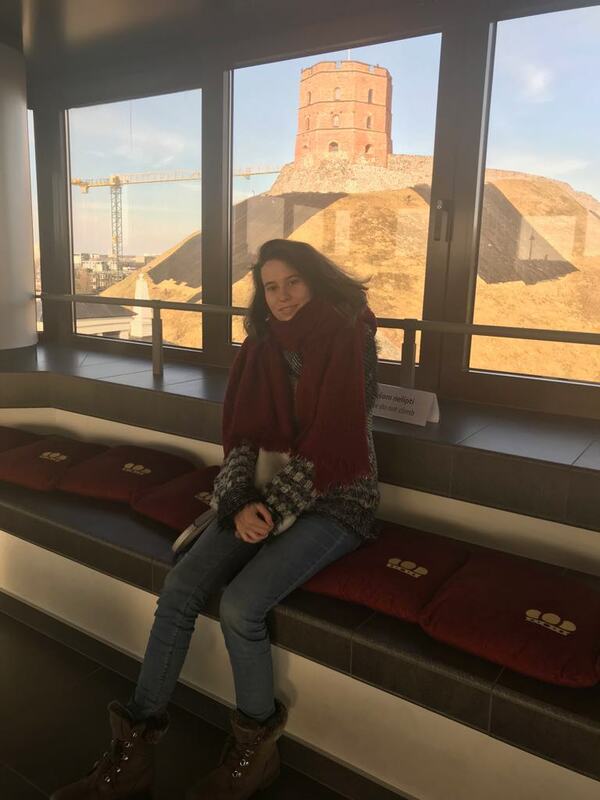 Finally, they ended their visit with the beautiful views from the Observation Tower, where it is possible to see a privileged scenario of Gediminas castle and Vilnius Cathedral. The EFHR appreciated this interesting and beautiful place located in the historical town of Vilnius. Trainees, volunteers and workers were enthusiast about this memorable experience that helped them to raise their Lithuanian cultural awareness.